Garlic pods, chopped – 5-7 nos. Ginger finely chopped – 2-3 tbsp. Green chilli, chopped – 2-4 nos. Fenugreek seed – ¼ tsp. Tamarind juice – 5-7 tbsp. 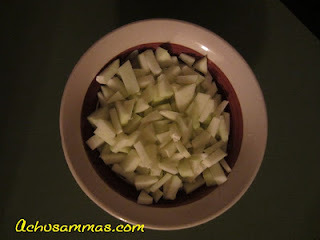 · Remove skin of pappaya and choped into small cubes. · Cook pappaya with turmeric powder,salt,enough water, when it’s done. And allow it to cool. 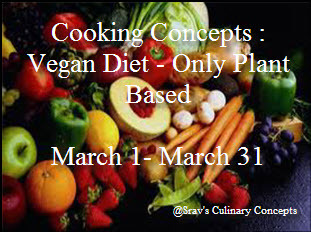 · Heat oil in a pan add mustard seed, when start to spluttering add garlic, ginger, green chilli,hing, fenugreek seed and sauté till garlic become lightly brown. · Then add turmeric powder,chilli powder,curry leaves into this mixture. And mix well and sauté for 2 minutes. Take care,put heat on low flame, otherwise powder will burn. 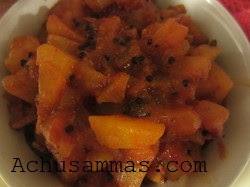 · Add the cooked papaya with tamarind juice and mixwell and cook for 5 minutes. 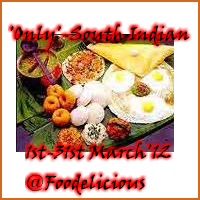 · Add jaggery powder and mix well. · Finally add 1 tbsp vinegar. Enjoy with aloo parantha,methi parantha…. Yummy yum innovative pickle,never had this before!! looks delicious and tempting...nice one with raw papaya! This is so inventive and original. I don't know papaya very well but would love to taste this! 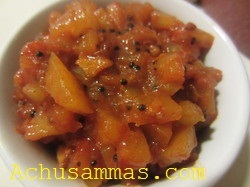 Yumm, very new, pickle with papaya..
never tasted this.. totally new to me.. Healthy one too.. wow reema :).. Thanks for linking it! I never made pickle with papaya. it looks great. Green papaya pickel looks yummy. Great pickle recipe and stunning picture! 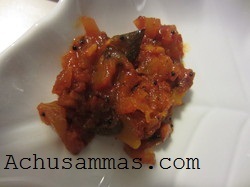 Never tried pickle with papaya,interesting recipe. Very unusual pickle, thanks for sending it to 'Only'.